Friday’s pretty dreary for network television, and it seems the hot topic for the night is “Will Fringe Survive?” The latest episode of “Fringe” drew a 1.5 rating. That was even with last week, and up from the season low two-weeks ago of 1.4 in the demo. That however is still unlikely to save “Fringe.” Given statement made previously by Kevin Reilly, the show likely needs at least a 1.6 in the demo to survive. “Blue Bloods” and “CSI: NY” topped their respective hours with a 1.7 in the demo, but neither is likely to be renewed at those numbers. Will CBS cancel both, or just one? If so, “CSI: NY” is over the syndication number, so is likely more financially feasible. “Smallville” and “Supernatural” were even last week; they are the most-viewed shows on the CW. Ok you’re clearl interpreting these numbers all types of wrong. Blue Bloods is like the biggest new show of the season. It’s number one in it’s time slot and number one for the night, why would it ever get cancelled? Furthermore, the network average for CBS in the demo is about a 2.7, making “Blue Bloods” a full ratings point below the networks average. So Bucko, its OK to disagree with my assessment, but use facts. And in your now-proven-to-be-erroneous statement, you say why would it ever get canceled. How about, why would CBS renew its third lowest rated series for the ENTIRE WEEK, a show that draws more than 33% less viewers in the only DEMO THAT MATTERS than the rest of its slate on average? Is this even this years article? It is very difficult to find up to date info, when they leave articles online from 2-3 + ago. 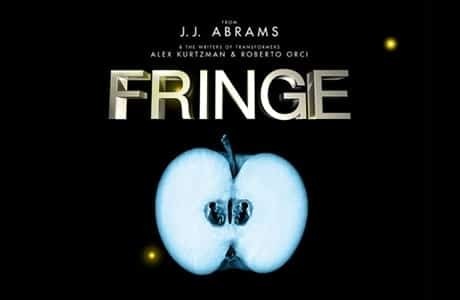 I hope they don’t cancel Fringe, but, I’m not like some that say, “I’ll just die if they cancel so & so show”. It doesn’t seem to matter anymore if a show is popular, if it’s not bringing in enough money, or if someone of importance(or thinks they are) does or does not like a show, that is what matters. This kind of thing has been going on for years. I am seriously considering dropping my Sat. service, and I can get very few channels ota. I cannot fathom why these reality shows have any appeal to anyone. People need to get a life, and stop trying to live like these phonies on TV. Many of them could care less about anyone but themselves. Have a great life, live for your families, and you will be so much happier.